There have been a lot of missions in the Grand Theft Auto series. Hundreds of various missions tasking players to kill drug dealers, steal cars, destroy rival gangs and even do some yoga. Not all of these missions have been great and a few of them are completely awful. But one mission in Grand Theft Auto San Andreas is considered by many fans to be the worst of the worst. It was so bad that Rockstar had to fix it in later ports of GTA San Andreas. In San Andreas, players meet a man who runs an RC toy store. This man is named Zero and he is voiced by David Cross. Zero has a problem and he needs CJ, the protagonist of San Andreas, to help him. His RC toy store is going under and he needs some financial help. Players can invest in Zero’s shop, which unlocks a series of new side missions. All of these missions are terrible. They all revolve around Zero trying to defend himself from his unseen rival, Berkley, who wants to destroy Zero’s shop and career. 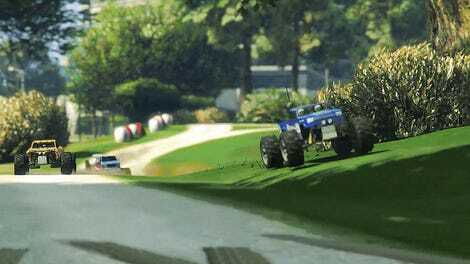 All of these missions involve RC vehicles and none of them are very fun and they all feel out of place in the San Andreas. The second Zero mission, Supply Lines, is the worst and the one players hate the most. Supply Lines sounds like a simple mission: Destroy some vans using an RC plane. 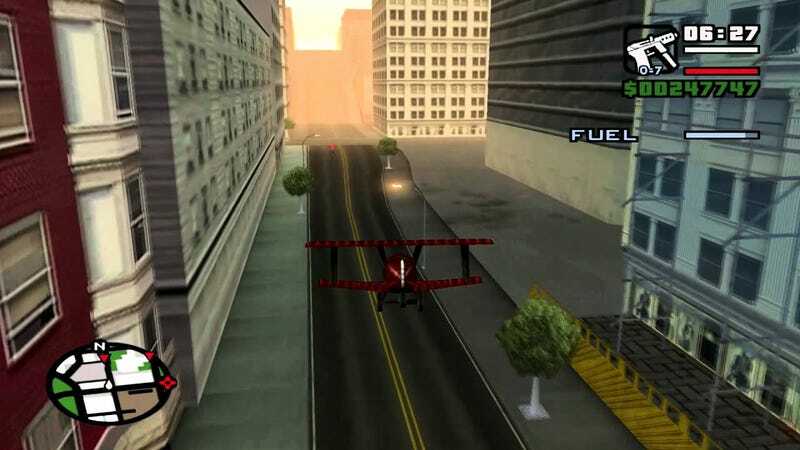 However, this mission was the bane of many San Andreas fans. You can easily find forum posts from 2004, the year San Andreas was released, of players complaining they are stuck. You can also still find players in 2017 getting stuck and frustrated with Supply Lines. I personally got stuck at Supply Lines. I spent way too much time trying to destroy those damn vans. I eventually gave up and did other missions. Thankfully, this was possible because all of the Zero RC missions are optional. You can beat GTA San Andreas without finishing Supply Lines and many players did just that. There are a couple reasons that Supply Lines is so hard. 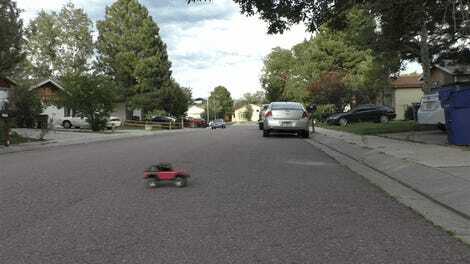 One problem is that the RC plane is hard to fly and not very stable. The plane you control is also fragile and the couriers you are attacking have thugs armed with SMGs. Take a few bullets and your plane is destroyed and the mission is failed. The biggest problem with Supply Lines is the way the fuel in the RC plane works. In the original version of the game, the fuel in the RC plane would get used as time went on, even if you were gliding. This strict time limit combined with bad controls created a situation where many players just couldn’t reach the couriers fast enough to destroy them. Rockstar changed the mission in later versions of San Andreas. Fuel would now only get used when players hit the throttle, letting them glide around and save gas. Even with this change, Rockstar seemed aware of how awful Supply Lines still was, because in later ports of San Andreas they changed the mission again. In the Xbox 360 and mobile ports, the fuel tank is larger. This final fix helped make the mission more doable, but it still isn’t very fun.